We would like to inform you that as part of our next door service strategy we have decided to open up a new subsidiary in the city of Manchester to provide direct sales, service and spare parts support to our many customers located in the UK and Ireland. 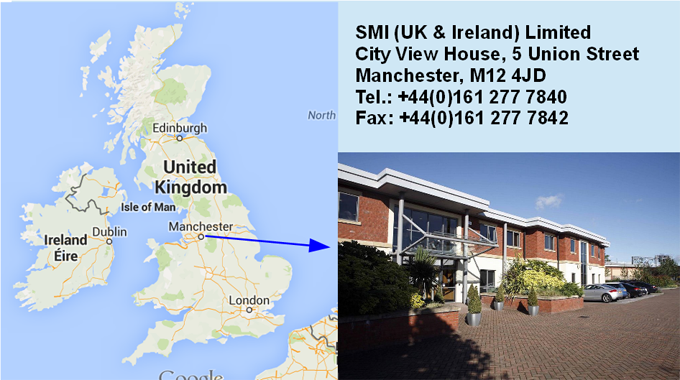 SMI (UK & Ireland) Ltd will be managed by Paul McGovern, who has many years experience in the packaging machinery industry, who will contact you personally in the coming weeks to update you about the new facility and the latest range of products and services proposed by SMI. As a consequence of the formation of our subsidiary, any previous agreements with local resellers and agents are no longer in force, since the SMI Group will be providing direct support to UK and Irish clients. We would like to take this opportunity to thank you for your trust in the SMI product range and we look forward to serving you in the future.